Berry Birdy: Quilts and More Acorn fun! 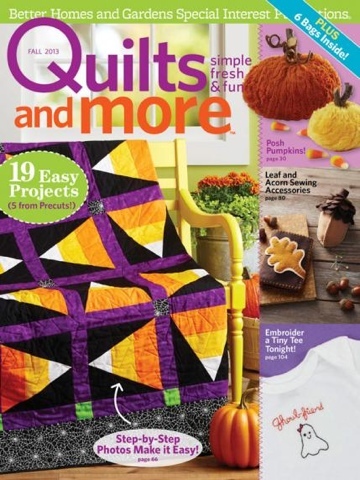 Latest issue of Quilts and More is now on new stands! Check out the simply adorable acorn pincushion and needle holder... Found on page 80, designed by... Me!! I still get thrilled when I see something that I have designed and made on the cover of a magazine! This time I showed the cashier! :) enjoy! Would like your permission, Lesley, to teach it to my friendship group, The Repro Gang, this month. We share small projects & work on our own unfinished ones too. What a great way to start the Fall season!